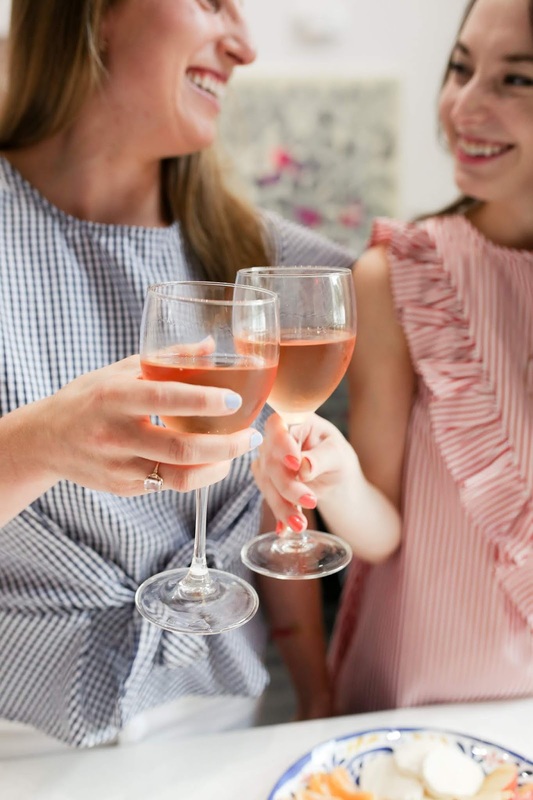 I don't think it would shock anyone if I said that I think rosé is a very important part of summer. Actually, I am a year-round rosé drinker, #cantstopwontstop. When I look at wine lists at restaurants, the first thing I look for is a rosé. 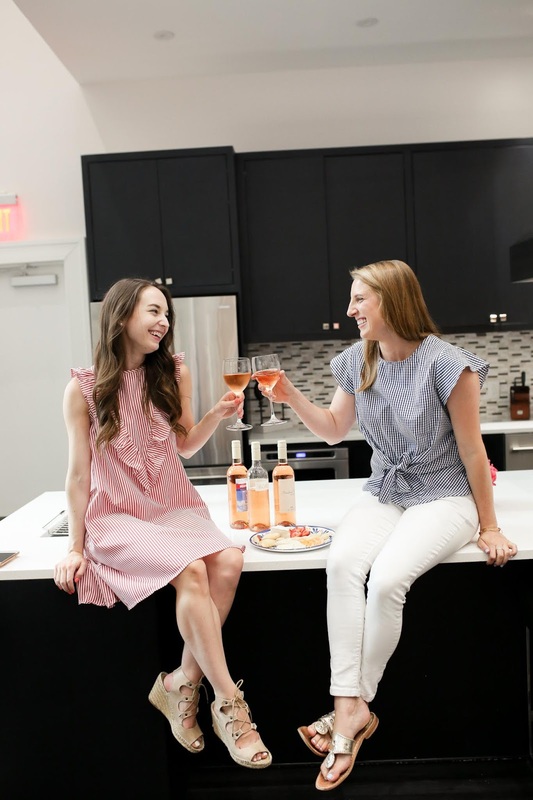 I have probably used all of the rosé-related hashtags out there on Instagram at some point or another, like #roseallday, #yeswayrose, etc. Call me basic all you want, I just really love a good rosé. I think it is appropriate for any occasion, from celebrating a holiday to any old Tuesday. 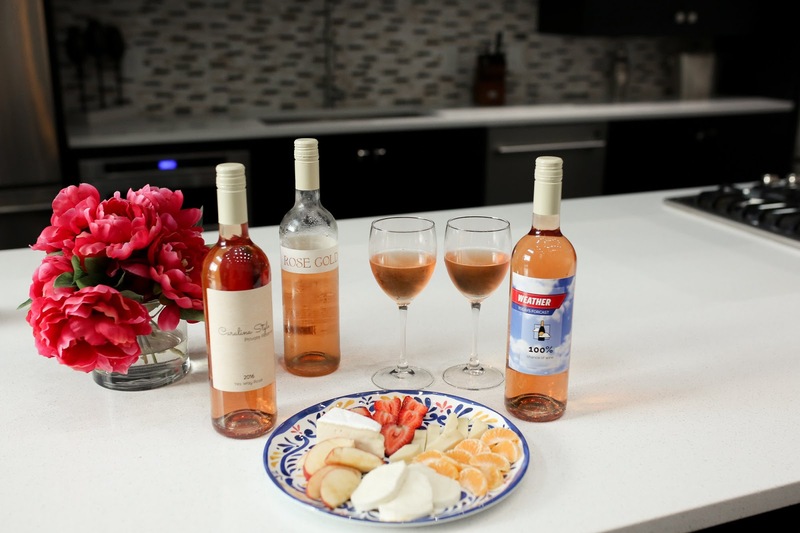 So, I recently had a weeknight wine and cheese happy hour with my friend Kathryn after work last week, with some rosé from Personal Wine. 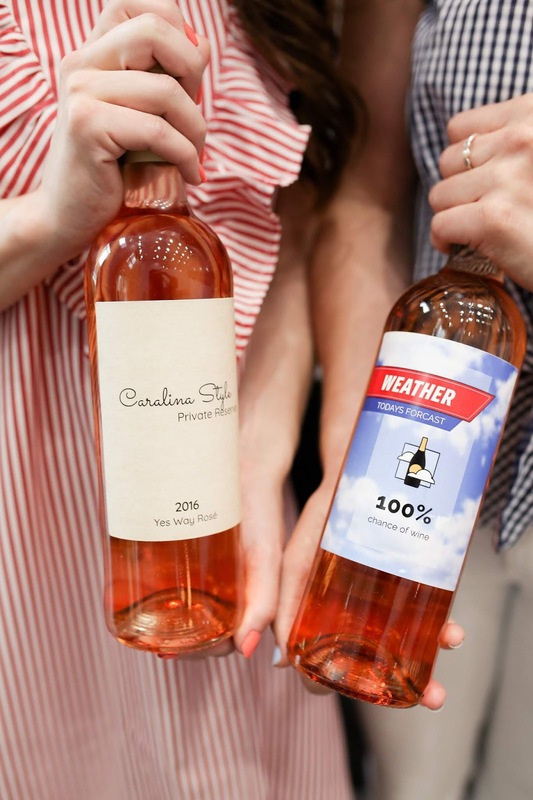 Personal Wine can make your rosé (or any other wine) special with a custom label or bottle engraving. 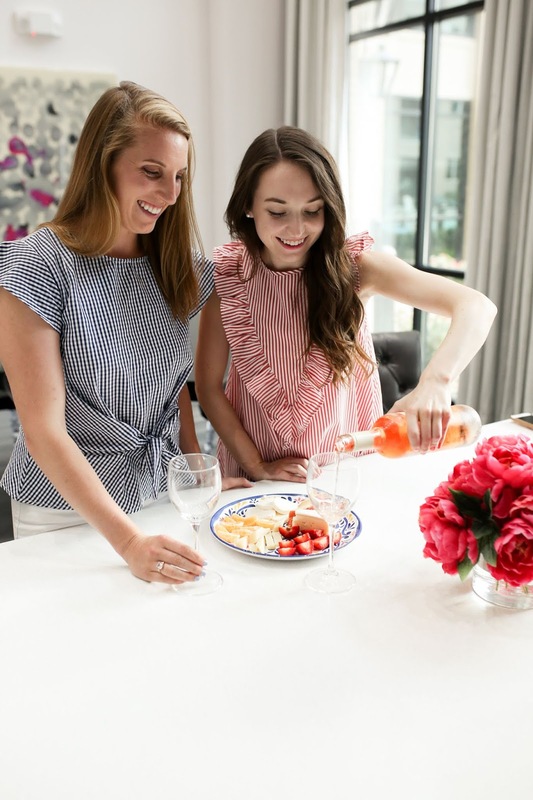 Whether you are celebrating a friend's engagement, your mom's birthday, or just want to make your weeknight glass of wine a little more fun, they have something for you! There are pre-made labels you can customize, or you can even upload your own photo. 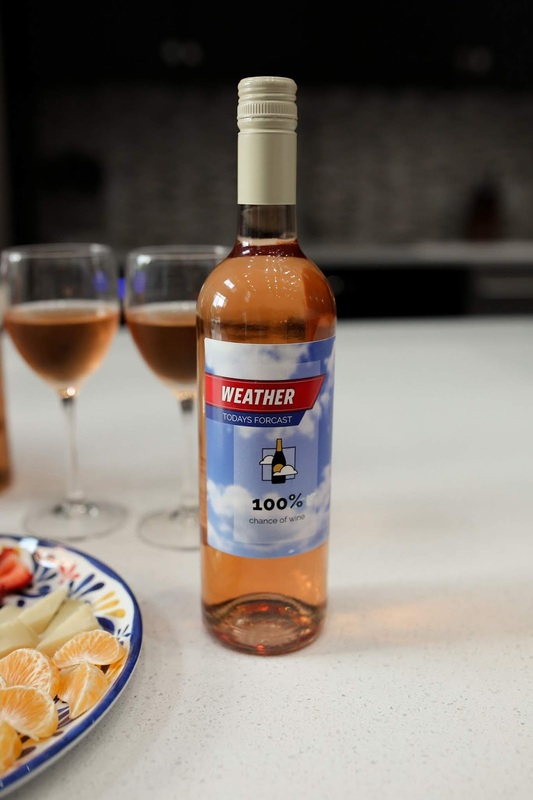 I chose the fun weather forecast label shown above, and even got my blog name printed like it is the name of a wine! I also got another label I will be sharing later on Instagram from an upcoming bachelorette weekend! I will admit I don't know much about the specifics of wine, but I am a big fan of this selection of rosé. 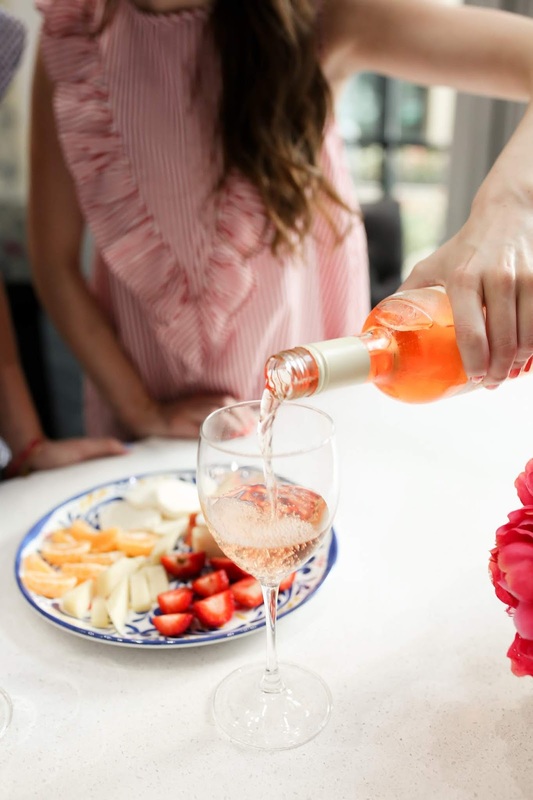 I prefer a rosé that is lighter colored, I have heard they are more comparable to a white wine, which I always pick over red wine. I thought this particular rosé was light, slightly on the drier end, and had a lot of flavor. I tend to buy some lower priced bottles, and I thought this rosé tasted a lot like some of the more expensive bottles I have tried before like Whispering Angel and Miraval. 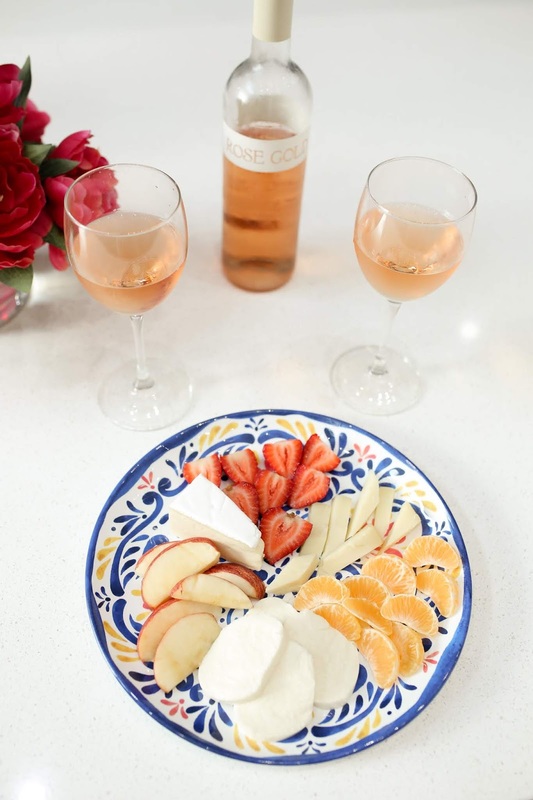 But if rosé isn't your thing, you can also customize a variety of reds and whites. Including my second favorite type of wine, prosecco! There are also plenty of wine and entertaining accessories like wine glasses, wine totes, cutting boards, and more! Thank you to Personal Wine for providing the wine for this post!